Actor Johnny Depp’s beloved dogs Pistol and Boo have refused to rule out running against Deputy Prime Minister Barnaby Joyce for his New England seat at the next federal election. 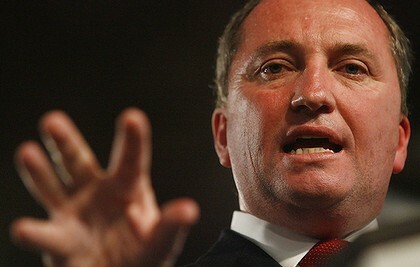 Already, the former member for New England Tony Windsor has declared he will run against Joyce. Although Windsor will likely prove a worthy foe, pundits are tipping that Pistol or Boo would prove to be the main stars in a dog and pony race. Asked “who’s a good boy? Who’s a good boy?”, Boo responded by wagging his tail and jumping excitedly in a display of enthusiasm not seen in Australian politics since the Hawke years. Boo’s message was embraced by not only the electorate but also Sky News who interpreted the message as Boo being tough on crime and pro walkies. Should Boo fail to run for election Sky News has an offer on the table for the dog to be the co-host of a new show, The Boo Andrew Bolt Report.